The 20th London Harvest Festival will be held at Woodlands Farm in Greenwich on Saturday 29th September 2018, 10am – 5pm. Over 30 city farms and community gardens will participate in the 20th London Harvest Festival, which features everything from awards for best cow, horse, donkey, duck and small furry animals, to hand-forged medals for young volunteer farmers, prizes for London-grown displays, delicious local food, and ‘Have-A-Go’ activities from pottery to felting and blacksmithing to flower-jewellery. Competition between the London Farms and Gardens is high, and never more so than when it comes to the annual Tug-o-War! Trophies presented for the Under & Over 16s. Who’s ever heard of herding ducks? Well, Ed Hawkins certainly has and will be giving us two expert demonstrations. Who will win the trophy for London’s biggest pumpkin grown by a London City Farms & Gardens member? All are under wraps from prying eyes until judging! Amongst the many farm animals in the Parade Ring, there will be rare breeds including Wensleydale Sheep and Indian Game Chickens. Once there was a blacksmith in virtually every town; now they are few and far between. So, an opportunity to Have-A-Go yourself is a must. Man has come a long way from stripping bark and whittling sticks; and this year’s London Harvest Festival offers you a chance to Have-A-Go at carving wood! The interest in woollen crafts is booming – and you have an opportunity to Have-A-Go and see if it’s a craft for you. The refreshment tents and stalls are always bustling, with food and drink to buy throughout the day; food from around London to around the globe! 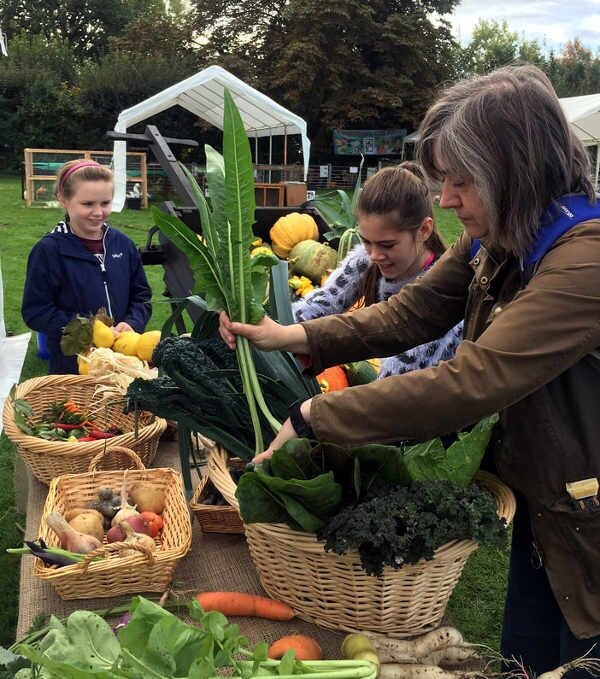 Lastly, though certainly not least, is the chance to walk about and learn more about London Farms & Gardens member Woodlands Farm Trust; our host for this year’s London Harvest Festival. With so much to see and do, the 20th London Harvest Festival is an event for all to enjoy. This year the festival is generously sponsored by The Big Lottery’s Awards for All England Grant Programme, The Metropolitan Public Gardens Association and Social Farms & Gardens. Next articleCanal Toys launches Power Dough – Bring Your Dough to Life!